The central issue here is that individual agent actions interact. So, an action representation has to make these interactions explicit. The formalization of concurrent, parallel, and sequential actions as well as synchronous and asynchronous ones is introduced comparing it with existing proposals. Temporal modal logic formalism sets these different types of actions as particular cases of concurrent actions. 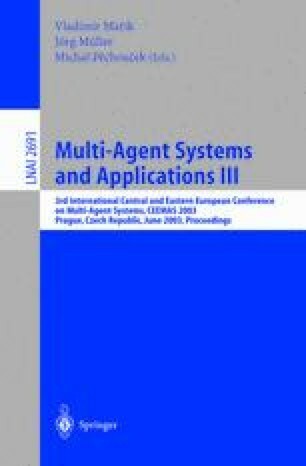 This way the description and programming of diverse processes in distributed multi-agent systems can be made in an integrated fashion. The proposed model is illustrated through a multi-agent system for flexible manufacturing. TU Prolog is used to implement the developed formal model.